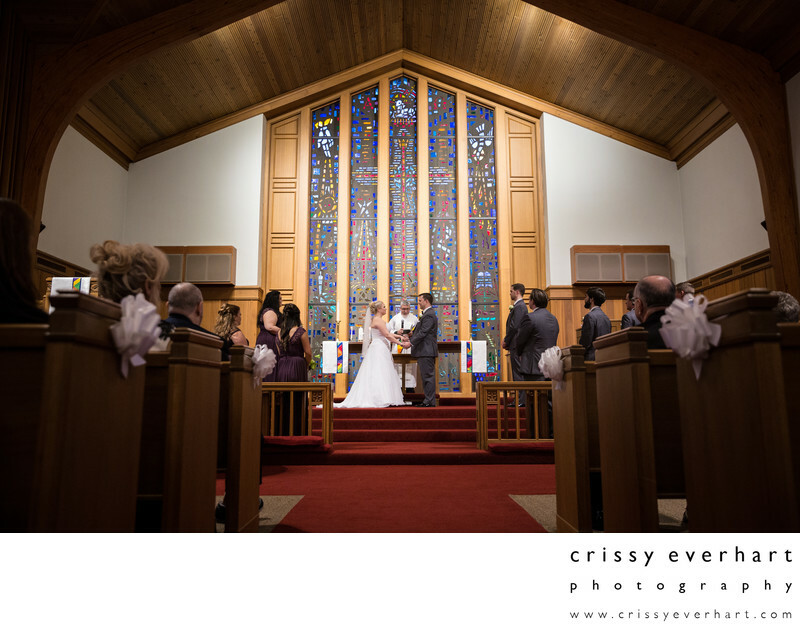 Christian wedding ceremony at Phoenixville First United Methodist Church on Main Street. Floor to ceiling stained glass is behind the couple, who stands at the altar with the priest and their wedding party during the exchange of vows. Wood accents and a red carpet accent the church, with the lighting on the altar, making it easy for even the guests to get good snapshots. Location: 865 Main St, Phoenixville, PA 19460.